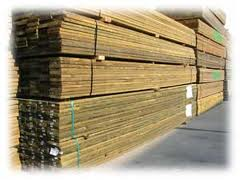 Producing Quality Preservative Treated and Fire Retardant Treated Lumber and Plywood for customers in Utah and Colorado. Water-based preservatives like copper azole leave wood with a clean, paintable surface after they dry. Copper Azole is registered for treatment of millwork, shingles & shakes, siding, plywood, structural lumber, fence posts, building and utility poles, land and freshwater piling, composites, and other wood products that are used in above-ground, ground contact and fresh water as well as in salt water splash (marine) decking applications.